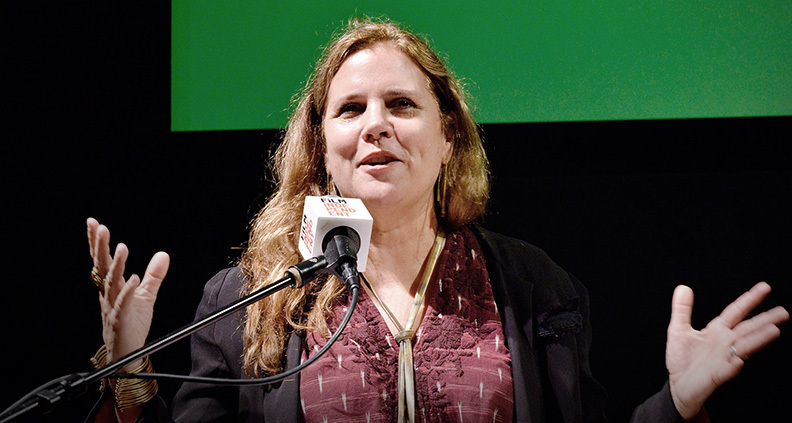 In her Closing Night keynote at the 2017 Sloan Film Summit, producer Lydia Dean Pilcher—whose credits include The Darljeeling Limited, The Lunchbox and the upcoming Sloan-supported historical drama Radium Girls—noted that, for her, the imbalance between men and women working in the arts and sciences had largely seemed a thing of the past. After all, women had directed fully half of the movies she’d produced over the course of her career. But reflecting back on the challenges of pitching and selling female-driven content, Pilcher realized that the prejudices around the hiring of women and the telling of female stories was, unfortunately, still alive and thriving. And after reading what powerful female scientists have found after studying the topic, she agreed—based on her own personal experience—that such biases are 100% cultural. Pilcher has also been surprised to discover that women themselves are not immune to this anti-female bias. The Bechdel Test—introduced to pop culture in 1985 via Alison Bechdel’s comic Dykes to Watch Out For—is the lowest possible bar for detecting stereotypes in female characters. In order to “pass,” the test, a film or TV show must A) include at least two female characters, who B) talk to each, about C) something other than a man. Looking back on her own filmography, Pilcher discovered two titles that failed to meet that standard. Posing an old riddle to her friends and colleagues in New York, Pilcher found she was not alone in falling victim to such hardwired gender biases. The riddle: “A father and son are in a car accident. The father is killed, and the son is rushed to the hospital. The surgeon looks at the boy and said, ‘I can’t operate, he’s my son. Why?” The gamut of head-scratching explanations for this result was surprising—was he adopted? Kidnapped? Isn’t the father dead, after all? The twist answer, of course, is that the surgeon is unable to operate on the boy because she’s his mother. The science behind such gendered thinking is that such biases are unconscious. We can know all the things we’re supposed to know about equality and still run into the cultural preconception that says men are doctors and women are nurses. Pilcher acknowledged that discomfort: “The world is changing, while the stereotypes are staying the same.” In an effort to help us see our blind spots, the Women’s Impact Network released a document that refutes the typical obstacles to female-driven content—The Ms. Factor Toolkit. Filled with data and practical information, Pilcher recommends filmmakers arm themselves with it when preparing to pitch a female-driven project. 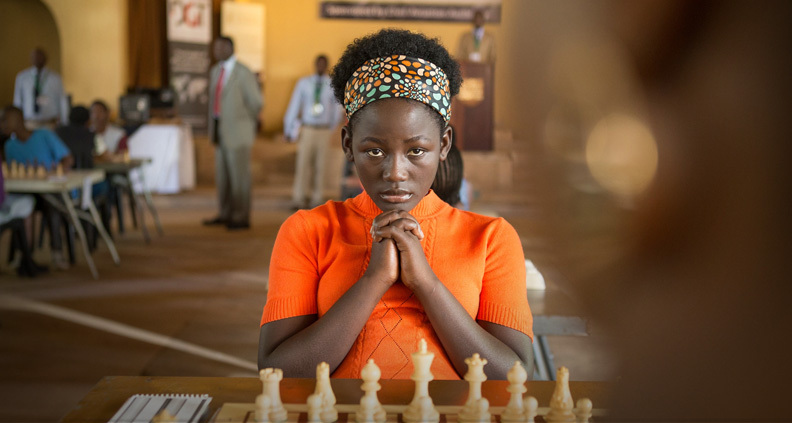 To illustrate the power of advocacy, Pilcher told the story of her 2016 film, Queen of Katwe—directed by Mira Nair and based on the true story of a young girl who became the chess champion of Uganda. While working on the project with Disney and ESPN, Pilcher felt a cultural tension between the values of the studio she was working with and the heart of the story. The story follows 14-year-old Phiona as she wins the Uganda championship, only to go on to the World Chess Olympia and lose. After screening Nair’s cut, Disney execs advised Pilcher to trim the fat and focus the story around David Oyelowo, who plays Phiona’s chess coach. Pilcher gently insisted the story was really about the girl. “I sent them all my stuff from the Ms. Factor Toolkit.” The next step was to put the film in front of focus groups. While the realities of gender bias are sobering, Pilcher remains hopeful. Recognizing the relationship between diverse stories and diverse storytellers, she encouraged writers and directors of unique backgrounds to make films that are important to them. “Ask questions of your characters. Are they multi-faceted? For females, is their ethnicity essential to the story?”—because, she said, even female characters are presumed white unless specified otherwise. The 2017 Sloan Film Summit took place October 27-29 at the Japanese American National Museum in Downtown Los Angeles. For more information about the Alfred P. Sloan Foundation, visit sloan.org. 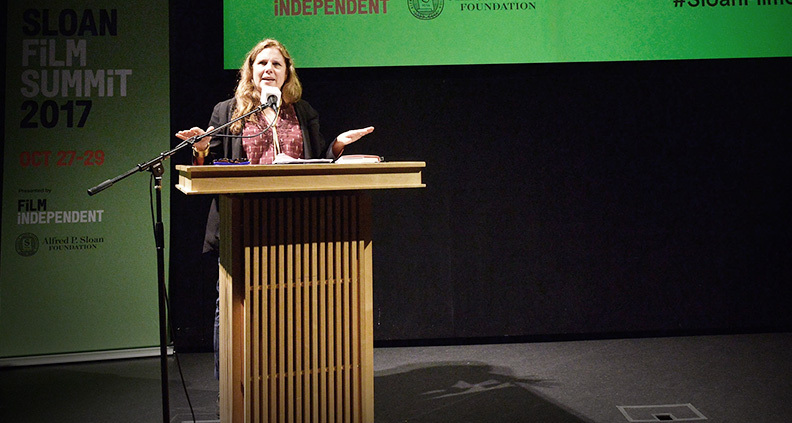 Stay tuned to this blog for full recaps of this year’s conference, and subscribe to Film Independent’s YouTube channel to catch full panels, highlights and special events.